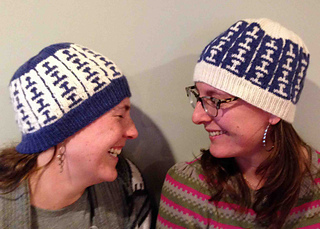 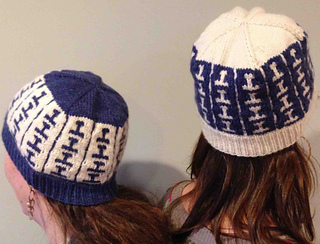 The pattern is designed so that two hats can be made from two skeins (one large and one small) where the main and contracts colors mirror. 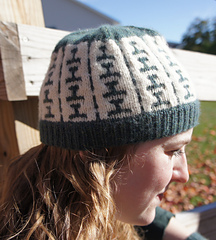 In the samples shown, the Enchanted Forest (Green) is the main color on one hat and Snowflake (white) the main color on the other. 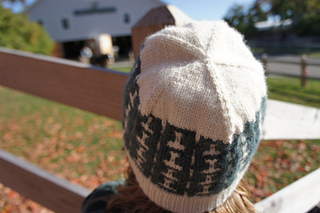 The hat is worked in the round and you will carry the unused color by bringing the new yarn under the old. 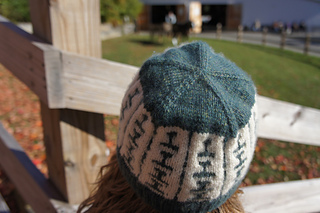 The hat can be worn with the ribbing unfolded for a longer hat or fold the ribbing over for a shorter hat. 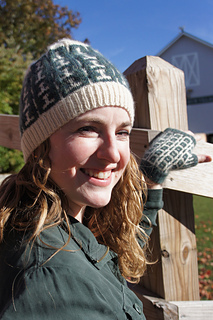 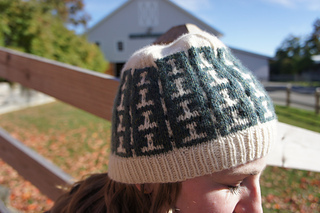 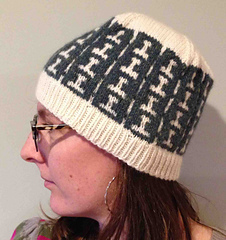 This is a special design by Patty that features the softness and body of the Water Street yarn.